Where are the answers for lesson questions in my LSAT books? Is there an answer key for questions in the videos and textbooks? 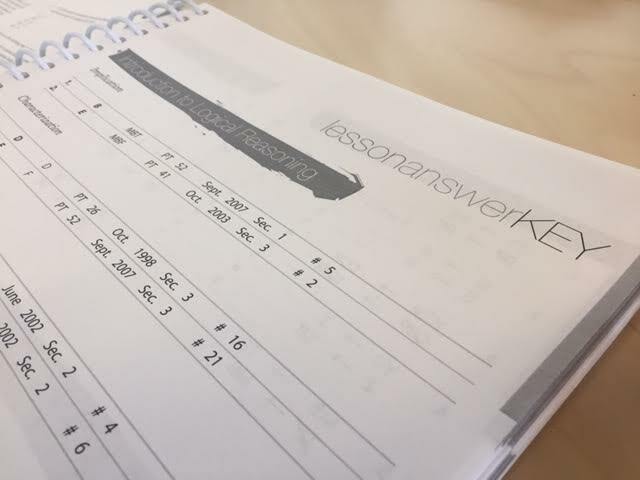 The answer key is at the end of each lesson in the course books. You can find all of the answers to questions covered in the lesson on the last few pages of the lesson, before the blue divider page.